A pair of El Primero chronographs with lightweight, matte black cases in ceramic-coated aluminium. First introduced on the Zenith and Range Rover collaboration limited edition, ceramicised aluminium is obtained by subjecting aluminium to a chemical process that creates a ceramic oxide layer on the metal’s surface. This creates a lightweight material with a scratch-resistant surface, though one that’s relatively soft, leaving it prone to scratches. 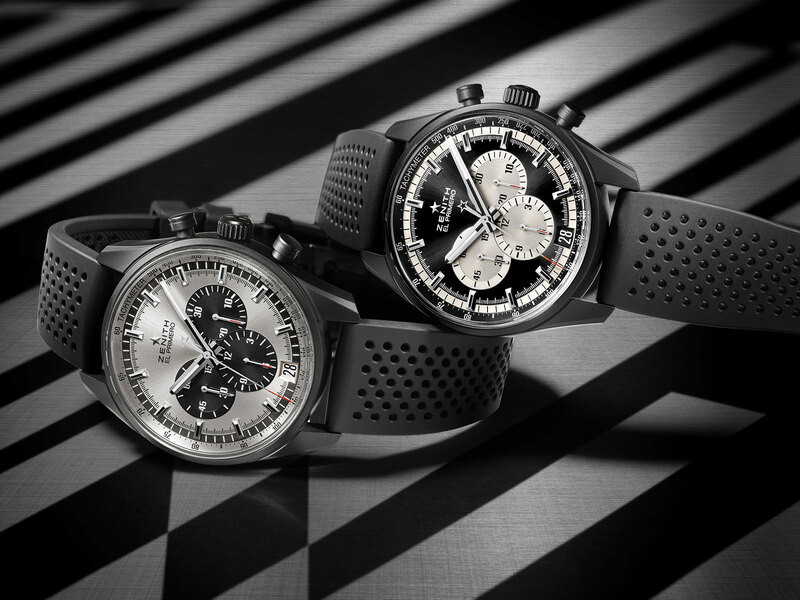 The ceramicised aluminium case is now part of the regular collection with a pair of El Primero “Panda” chronographs. Both share the same 42mm case in ceramicised aluminium, as well as the El Primero calibre 400B that ticks at 36,000 beats per hour. Nicknamed “Panda” for the black sub-dials against a white or silver dial, such contrast colour dials have become popular once again as a result of the fad for vintage chronographs in a similar style. Available with a “Panda” silver dial featuring black sub-dials (ref. 24.2041.400/01.R576), or with the colours inverted (ref. 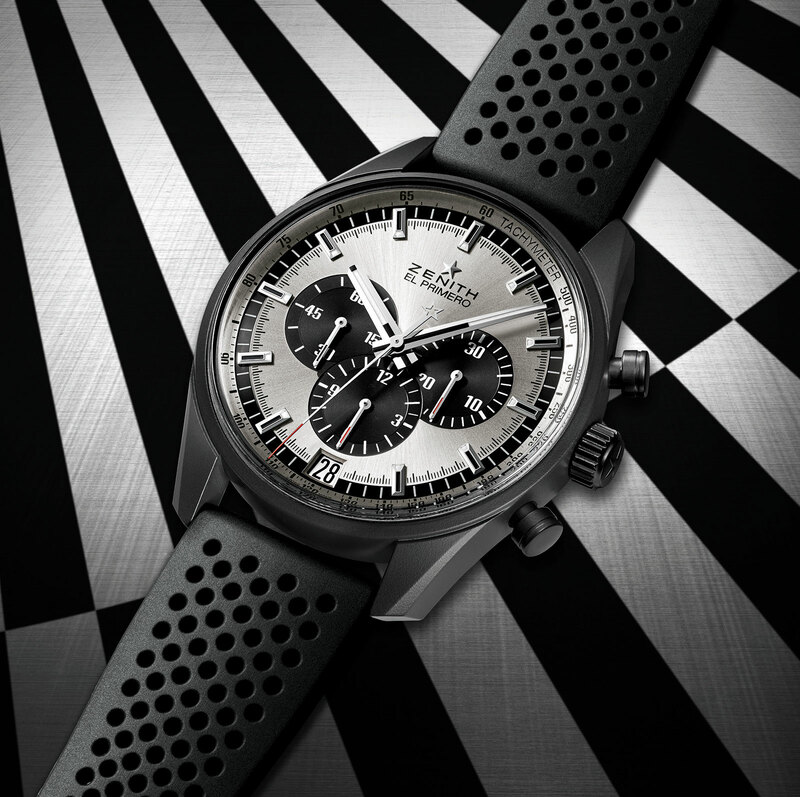 24.2041.400/21.R576), the El Primero in black ceramicised aluminium is priced at SFr8900 or S$13,500.